1. Laskey, Fairman, R. A., M. P., and Blow, J. J. (1989) S Phase of the cell cycle. Science 246, 603-608. 2. McIntosh, J. R. and Koonce, M. P. (1989) Mitosis. Science 246, 603-608. 3. Pines, J. (1999) Four-dimensional control of the cell cycle. Nature Cell Biol. 1, E73-E79. 4. Hinchcliffe, E. H. and Sluder, G. (2001) "It Takes Two to Tango": understanding how centrosome duplication is regulated throughout the cell cycle. Genes Dev. 15,1167-1181. 5. Cross, F., Roberts, J., and Weintraub, H. (1989) Simple and complex cell cycles. Annu. Rev. Cell Biol. 5, 341-395. 6. Norbury, C. and Nurse, P. (1992) Animal cell cycles and their control. Annu. Rev. Biochem. 61, 441-470. 7. Vidwans, S. J. and Su, T. T. (2001) Cycling through development in Drosophila and other metazoa. Nature Cell Biol. 3, E35-E39. 8. Pines, J. and Rieder, C. L. (2001) Re-staging mitosis: a contemporary view of mitotic progression. Nature Cell Biol. 3, E3-E6. 9. Scholey, J. M., Rogers, G. C., and Sharp, D. J. 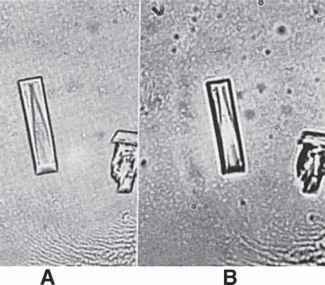 (2001) Mitosis, microtubules, and the matrix. J. Cell Biol. 154, 261-266. 10. Zalokar, M. and Erk, I. (1976) Division and migration of nuclei during early embryogenesis of Drosophila melanogaster. J. Microsc. Biol. Cell. 25, 97-106. 11. Foe, V. E. and Alberts, B. M. (1983) Studies of nuclear and cytoplasmic behavior during the five mitotic cycles that precede gastrulation in Drosophila embryogenesis. J. Cell Sci. 61, 31-70. 12. Foe, V. E. (1989) Mitotic domains reveal early commitment of cells in Drosophila embryos. Development 107, 1-22. 13. Warn, R. M., Flegg, L., and Warn, A. (1987) An investigation of microtubule organization and functions in living Drosophila embryos by injection of a fluorescently labeled antibody against tyrosinated a-tubulin. J. Cell Biol. 105, 1721-1730. 14. Kiehart, D. P., Ketchum, A., Young, P., et al. (1990) Contractile proteins in Drosophila development. Ann. NY Acad. Sci. 582, 233-251. 15. Buchenau, P., Saumweber, H., and Arndt-Jovin, D. J. (1993) Consequences of topoisomerase II inhibition in early embryogenesis of Drosophila revealed by in vivo confocal laser scanning microscopy. J. Cell Sci. 104, 1175-1185. 16. Mermall, V. and Miller, K. G. (1995) The 95F unconventional myosin is required for proper organization of the Drosophila syncytial blastoderm. J. Cell Biol. 129, 1575-1588. 17. Johansen, K. M., Johansen, J., Baek, K.-H., and Jin, Y. (1996) Remodeling of nuclear architecture during the cell cycle in Drosophila embryos. J. Cell. Biochem. 63, 268-279. 18. Edgar, B., Odell, G. M., and Schubiger, G. (1987) Cytoarchitecture and the patterning of fushi tarazu expression in the Drosophila blastoderm. Genes Dev. 1, 1226-1237. 19. Raff, J. W., Whitfield, W. G., and Glover, D. M. (1990) Two distinct mechanisms localize cyclin B transcripts in syncytial Drosophila embryos. Development 110, 1249-1261. 20. Planques, V., Warn, A., and Warn, R. M. (1991) The effects of microinjection of rhodamine-phalloidin on mitosis and cytokinesis in early stage Drosophila embryos. Exp. Cell. Res. 192, 557-566. 21. Jin, Y., Wang, Y., Walker, D. L., et al. (1999) JIL-1: a novel chromosomal tandem kinase implicated in transcriptional regulation in Drosophila. Mol. Cell 4, 129-135. 22. Wang, Y., Zhang, W., Jin, Y., Johansen, J., and Johansen, K.M. (2001) The JIL-1 tandem kinase mediates histone H3 phosphorylation and is required for maintenance of chromatin structure in Drosophila. Cell 105, 433-443. 23. Walker, D. L., Wang, D., Jin, Y., et al. (2000) Skeletor, a novel chromosomal protein that redistributes during mitosis provides evidence for the formation of a spindle matrix. J. Cell Biol. 151, 1401-1411. 24. Zalokar, M. and Erk, I. (1977) Phase-partition fixation and staining of Drosophila eggs. Stain Technol. 52, 89-95. 25. Mitchison, T. J. and Sedat, J. (1983) Localization of antigenic determinants in whole Drosophila embryos. Dev. Biol. 99, 261-264. 26. Theurkauf, W. E. (1994) Immunofluorescence analysis of the cytoskeleton during oogenesis and early embryogenesis. Methods Cell Biol. 44, 489-505. 27. Patel, N. H. (1994) Imaging neuronal subsets and other cell types in whole-mount Drosophila embryos and larvae using antibody probes. Methods Cell Biol. 44, 445-487. 28. Rothwell, W. F. and Sullivan, W. (2000) Fluorescent analysis of Drosophila embryos, in Drosophila Protocols (Sullivan, W., Ashburner, M., and Hawley, R. S., eds. ), Cold Spring Harbor Laboratory Press, Cold Spring Harbor, NY, pp. 141-157. 29. Rebay, I. and Fehon, R.G. (2000) Generating antibodies against Drosophila proteins, in Drosophila Protocols (Sullivan, W., Ashburner, M., and Hawley, R.S., eds. ), Cold Spring Harbor Laboratory Press, Cold Spring Harbor, NY, pp. 389-411. 30. Spector, D. L, Goldman, R. D., and Leinwand, L. A. (1998) Immunofluorescence methods for Drosophila tissues, in Cells: A Laboratory Manual (Spector, D. L, Goldman, R. D., and Leinwand, L. A., eds. ), Cold Spring Harbor Laboratory Press, Cold Spring Harbor, N pp. 107.1-107.9. 31. Humason, G.L. (1997) Animal Tissue Techniques, W.H. Freeman, San Francisco. 32. Horobin, R. W. (1982) Histochemistry, Gustav Fischer Verlag, New York. 33. Santamaria, P. (1986) Injecting eggs, in Drosophila: A Practical Approach. (Roberts, D.B., ed. ), IRL, Oxford, pp. 159-173. 34. Spradling, A. C. (1986) P element-mediated transformation, in Drosophila: A Practical Approach. (Roberts, D. B., ed. ), IRL, Oxford, pp. 175-197. 35. Baek, K.-H. and Ambrosio, L. (1995) An efficient method for microinjection of mRNA into Drosophila embryos. BioTechniques 17, 1024-1026. 36. Lee, G. M. (1989) Measurement of volume injected into individual cells by quantitative fluorescence microscopy. J. Cell Sci. 94, 443-447. 37. Kiehart, D. P., Crawford, J. M., and Montague, R. A. (2000) Quantitative microinjection of Drosophila embryos, in Drosophila Protocols (Sullivan, W., Ashburner, M., and Hawley, R. S., eds. ), Cold Spring Harbor Laboratory Press, Cold Spring Harbor, NY, pp. 345-359. 38. Campos-Ortega, J. A. and Hartenstein, V. (1997) Stages of Drosophila embryogenesis, in The Embryonic Development of Drosophila melanogaster. SpringerVerlag, New York, pp. 9-102. 39. Foe, V.E. and Alberts, M.M. (1985) Reversible chromosome condensation induced in Drosophila embryos by anoxia: visualization of interphase nuclear organization. J. Cell Biol. 100, 1623-1636. 40. Johansen, K. M., Kopp, D. M., Jellies, J., and Johansen, J. (1992) Tract formation and axon fasiculation of molecularly distinct peripheral neuron subpopulations during leech embryogenesis. Neuron 8, 559-272.